By using MarketPlanner, which is made up of the Geographic Information System (GIS), customers are able to create materials that are required for the review of regional strategies in an expressive manner, and within a short period of time. 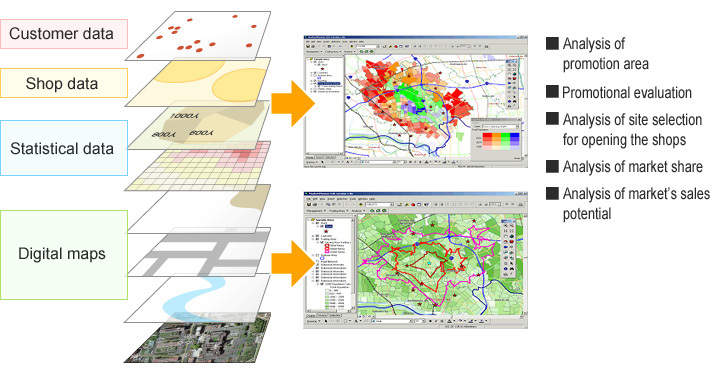 Information that is needed in the decision-making process in strategizing can be presented not only as tables and graphs, but also in the form of materials that are presented in a graphical form on maps. We provide visual support for the understanding and presentation of information.